You can administer Open Firmware or EFI passwords to ensure the security of managed computers. 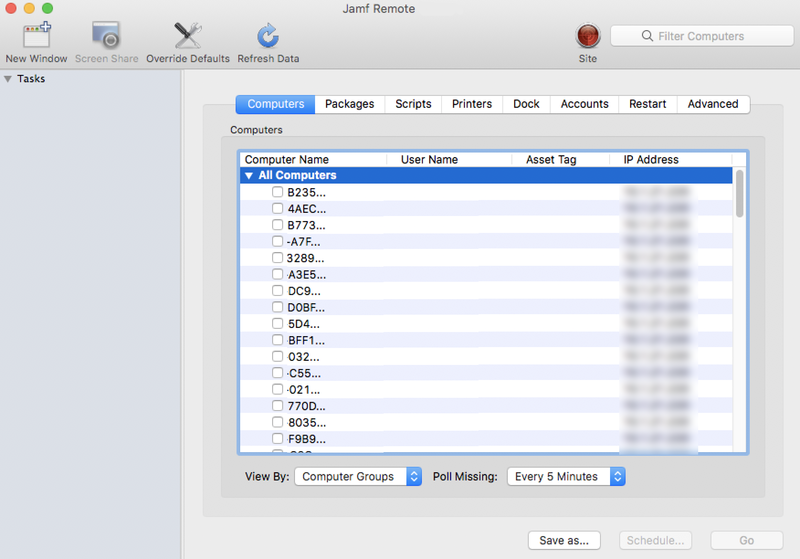 There are two ways to set and remove an Open Firmware/EFI password: using a policy or using Jamf Remote. 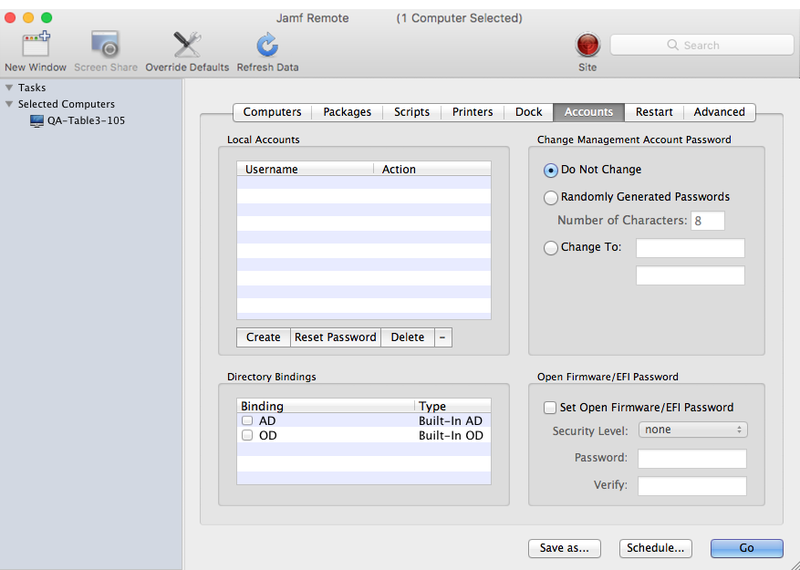 Select the EFI Password payload and click Configure. To set an Open Firmware/EFI password, select Set Password, and then enter and verify the password. 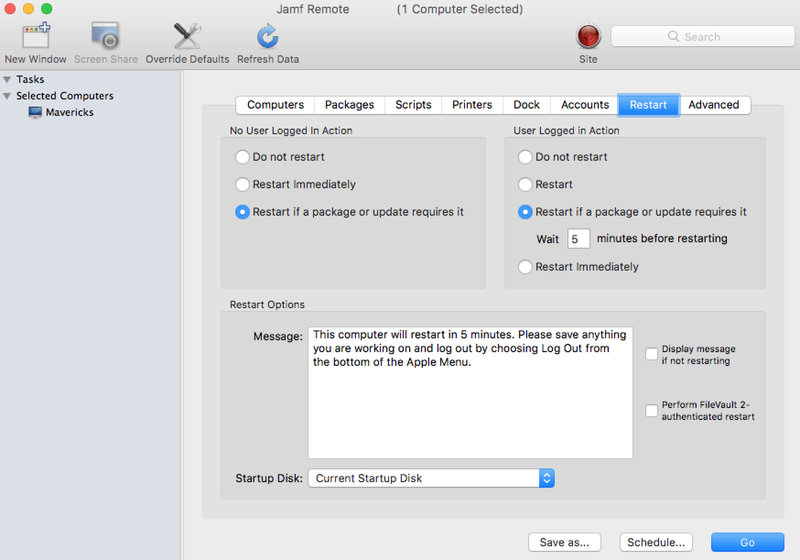 To remove an Open Firmware/EFI password, select Remove Password, and then enter and verify the current password. In the list of computers, select the checkbox for each computer on which you want to set or remove an Open Firmware/EFI password. Select the Set Open Firmware/EFI Password checkbox. To set the password, choose "command" from the Security Level pop-up menu and enter and verify the password. To remove the password, choose "none" from the Security Level pop-up menu. Find out how to create a policy, view the plan and status of a policy, and view and flush policy logs.